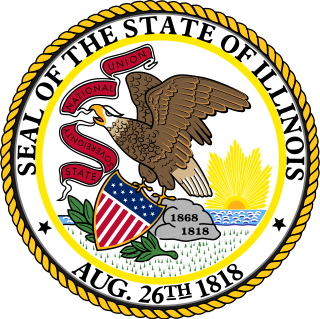 Illinois is a state in the Midwestern region of the United States. It has the fifth largest gross domestic product (GDP), the sixth largest population, and the 25th largest land area of all U.S. states. Illinois is often noted as a microcosm of the entire United States. 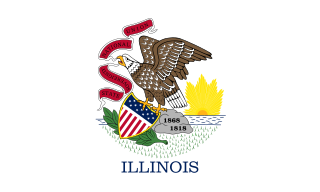 With Chicago in northeastern Illinois, small industrial cities and immense agricultural productivity in the north and center of the state, and natural resources such as coal, timber, and petroleum in the south, Illinois has a diverse economic base, and is a major transportation hub. Chicagoland, Chicago's metropolitan area, encompasses over 65% of the state's population. The Port of Chicago connects the state to international ports via two main routes: from the Great Lakes, via the Saint Lawrence Seaway, to the Atlantic Ocean and from the Great Lakes to the Mississippi River, via the Illinois Waterway to the Illinois River. The Mississippi River, the Ohio River, and the Wabash River form parts of the boundaries of Illinois. For decades, Chicago's O'Hare International Airport has been ranked as one of the world's busiest airports. Illinois has long had a reputation as a bellwether both in social and cultural terms and, through the 1980s, in politics. The Chicago Fire Department (CFD) provides both fire suppression and emergency medical services to the city of Chicago, Illinois, United States, under the jurisdiction of the Mayor of Chicago. The Chicago Fire Department is the third largest municipal fire department in the United States after the New York City Fire Department and Cal Fire, as measured by sworn personnel. It is also one of the oldest major organized fire departments in the nation. The Chicago Police Department (CPD) is the law enforcement agency of the U.S. city of Chicago, Illinois, under the jurisdiction of the City Council. It is the second largest municipal police department in the United States, behind the New York City Police Department. It has approximately 13,500 officers and over 1,925 other employees. Tracing its roots back to the year 1835, the Chicago Police Department is one of the oldest modern police forces in the world. The United States Department of Justice has criticized the department for its poor training, lack of oversight and routine use of excessive force. 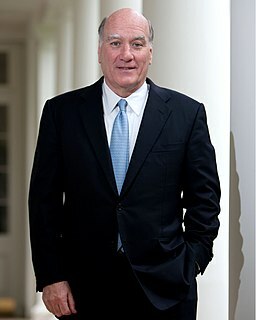 Richard Michael Daley is an American politician, lawyer, and author who served as the 54th Mayor of Chicago, Illinois from 1989 to 2011. Daley was elected mayor in 1989 and was reelected five times until declining to run for a seventh term. At 22 years, he was the longest-serving Chicago mayor, surpassing the tenure of his father, Richard J. Daley. The City Treasurer of Chicago is an elected official of the City of Chicago. William Michael "Bill" Daley is an American lawyer, politician and former banker. He served as White House Chief of Staff to President Barack Obama, from January 2011 to January 2012. He also served as U.S. Secretary of Commerce, from 1997 to 2000, under President Bill Clinton. He has also served on the executive committee of JPMorgan Chase & Co. Daley was a candidate for Governor of Illinois in the 2014 gubernatorial election, until dropping out of the race on September 16, 2013. He ran in the 2019 Chicago mayoral election but came in third in the first-round voting, and did not advance to the runoff. Michael Anthony Bilandic was an American Illinois politician who served as the 49th mayor of Chicago, Illinois, after the death of then-mayor Richard J. Daley, from December 20, 1976, until April 16, 1979. Bilandic was a Democrat and a Croatian-American who also served as Chief Justice of the Illinois Supreme Court some years after his tenure as Chicago mayor. Bilandic practiced law in Chicago for several years, having graduated from the DePaul University College of Law. Bilandic served as an alderman in the Chicago City Council, representing the eleventh ward on the south-west side from June 1969 until he began his tenure as mayor in December 1976. Forrest Edward Claypool is an American politician who has held several positions in the governments of Chicago, Cook County, and the State of Illinois. He was the Chief Executive Officer of Chicago Public Schools from July 27, 2015, until December 8, 2017. Previous offices held by Claypool include Superintendent of the Chicago Park District from 1993 to 1998, Chief of Staff to Chicago Mayor Rahm Emanuel, and President of the Chicago Transit Authority. In 2007–2008, Claypool served as a key member of Barack Obama campaign's media team, in his capacity as a longtime partner of David Axelrod. Timothy C. Evans is an American attorney, politician, former alderman and the current Chief Judge of the Cook County Circuit Court. Evans is noted as the first African-American Chief Judge of the Cook County Circuit Court. A graduate of the John Marshall Law School in Chicago, Evans was first elected to the bench in 1992. Miguel del Valle is an American politician and the former City Clerk of Chicago. 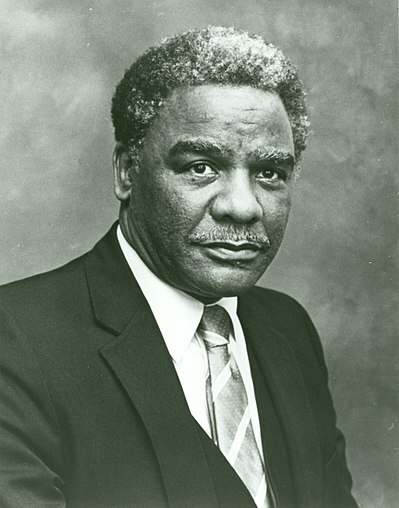 He was an Illinois State Senator for two decades, representing the 2nd District of Chicago from 1987–2006. Del Valle lost his bid for mayor in Chicago's February 22, 2011 municipal elections, coming in third with 53,953 votes. The city of Chicago, Illinois held a nonpartisan mayoral election on Tuesday, February 22, 2011. 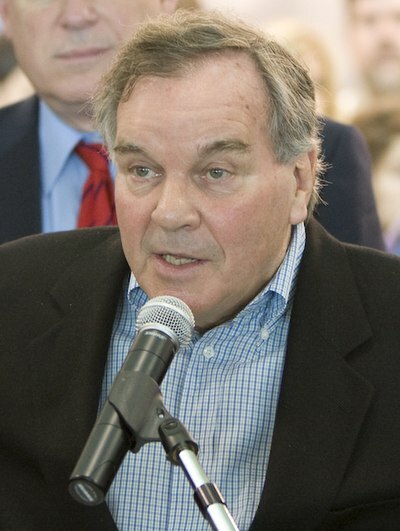 Incumbent Mayor Richard M. Daley, a member of the Democratic Party who had been in office since 1989, did not seek a seventh term as mayor. This was the first election since 1947 in which an incumbent mayor of Chicago did not seek reelection. Gery J. Chico is an American politician, Chicago lawyer, public official and former Democratic primary candidate for United States Senate. An election took place on February 24, 2015, to elect the mayor of Chicago. The election was non-partisan and no candidate received a majority. A runoff election was held between the top two finishers on April 7, 2015, and resulted in the reelection of incumbent mayor Rahm Emanuel. The elections were concurrent with the 2015 Chicago aldermanic elections. The 2019 Chicago mayoral election was the 2019 edition of the quadrennial elections held to determine the Mayor of the city of Chicago, Illinois. The election was held on February 26, 2019. Since no candidate received a majority of votes, a runoff election was held on April 2, 2019 between the two candidates with the most votes, Lori Lightfoot and Toni Preckwinkle. Lightfoot defeated Preckwinkle in the runoff election, becoming mayor-elect of Chicago. Lightfoot is scheduled to take office on May 20, 2019. Anna M. Valencia is an American public official who serves as the City Clerk of Chicago. Valencia was sworn into office on January 25, 2017. She was elected to a full term as City Clerk in February 2019. Lori Elaine Lightfoot is an American politician who was elected Mayor of Chicago in 2019. She has worked in private legal practice as a partner at Mayer Brown and held various government positions in the City of Chicago, most notably as former President of the Chicago Police Board and chair of the Chicago Police Accountability Task Force. She is a member of the Democratic Party. Chicago has held regularly-scheduled popular elections to select the city's mayor ever since it was incorporated as a city in 1837. ↑ "Government, City of Chicago". www.encyclopedia.chicagohistory.org. Retrieved 19 March 2018. ↑ "Chicago Mayors, 1837-2007". www.encyclopedia.chicagohistory.org. Retrieved 19 March 2018. ↑ Hardy, Thomas (July 7, 1995). "Gov. Edgar To End City Partisan Votes". Chicago Tribune. ↑ "Chicago Mayors". Chicago Public Library. Retrieved 8 October 2016. ↑ "Mayor Eugene Sawyer Biography" . Retrieved 2016-10-08. "A Chronology of Chicago's Mayors". Chicago Public Library . Retrieved 2010-05-26. Wikimedia Commons has media related to Mayors of Chicago .